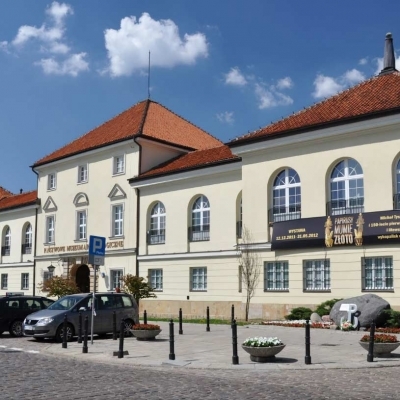 The State Archaeological Museum in Warsaw (PMA) engages in a broad range of activity. It helps preserve archaeological heritage conservation in different parts of Poland through regular excavation made every year. Other concerns of the PMA include building up its archaeological collections, submitting them to a scientific analysis and making them known through exhibitions and publications. Members of the Museum staff organize lectures, museum classes, film shows, “archaeological happenings”, presentations of ancient technologies and crafts. Since 1999 PMA has been a local government-run cultural institution financed from the resources of the regional government of the Mazowieckie Voivodeship. As soon as Poland regained independence in 1918 steps were taken to establish a central archaeological museum in Poland. The State Archaeological Museum started its activities in 1923 and in 1928, by a statutory instrument issued by Ignacy Mościcki, President of Poland, was given the rank of a national centre of scientific research charged with the study of the prehistory of Poland, collecting and preserving archaeological artefacts, making its collections available for viewing and educating the public about prehistory. Over time the PMA was housed in several buildings and ultimately found a safe haven in 1959 in the historic building of the Warsaw Arsenal at 52 Długa St. Ever since its inception the PMA has been dedicated to the study of the prehistory and early history of Balt tribes, inhabitants of the territory between the Lower Vistula and the watershed of the Daugava River. Before World War II the Museum organized excavations in the Suwałki Region and in the Vilnius Region, after the war, in Masuria and in the Suwałki Region. In 1979 the Balt Archaeology Unit was established, in 1984 raised to the rank of the Department of Balt Archaeology. The Department has in its collections archaeological artefacts from north-eastern Poland and the territory of modern Lithuania and Latvia. Since 2000, in cooperation with the University of Warsaw Institute of Archaeology, the Department of Balt Archaeology holds hold Balt Seminars dedicated to presenting the Balt archaeology in a broad time spectrum – Early Iron Age to the medieval period – against the background of the Baltic Sea region. The department of ancient monuments and sites of the Vest-Agder county (Fylkeskonservatoren) is the regional heritage management agency and part of the administration of the Vest-Agder region. The county councils (Fylke) in Norway have a democratic elected leadership and can be compared to the Woiwodships in Poland. The county councils are working with many important administrative tasks as regional public transport, higher school education and the management of the regional cultural heritage interests. Vest-Agder fylke is the southernmost county in Norway and consists of a rich landscape with a long coastline with beautiful natural harbors and a mountainous inland with arable valleys. The landscape with its different natural resources shaped the history of the county. The settlement of the county began directly after the ice ages glaciers where diminishing some 10 000 years ago. In Vest-Agder county are many important archaeological sites like the or the iron age farm Sosteli, that was excavated after the second world war by the famous Norwegian archaeologist Anders Hagen. But there are a variety of ancient heritage sites like the historical important out-harbours, natural harbor places used in the different historic periods, like Ny Hellesund or sites after the second world war in the county like the Fort Nordberg. Other sites with relevant cultural history are ancient churches or ancient industrial monuments like saw mills.The department of ancient heritage and sites is working with different tasks in the management of the cultural heritage of the county. One of the most important functions is counseling in the planning process. All surveying excavations in the region are done by the department and is working active in research and developing archaeological surveying methods like none invasive methods. The department of ancient monuments and sites is partner in the local heritage management in the communes. We are working with archaeological and other historical sites. 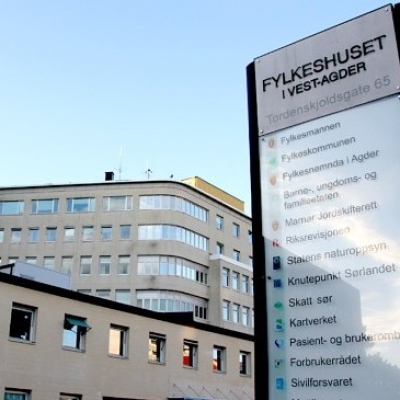 The management of the ancient monuments in Vest-Agder is steered by the paper „Cultural heritage strategy 2020” which is decided by the democratic elected regional parliament. The paper defines different field of interest which the department should work the next years. The Fylkeskonservator even works with education and popularization of ancient heritage and arranging different events for schools and the public. Last but not least the department of ancient monuments and sites is working with international cooperation projects. A finished project was a cooperation in archaeological research on the Crimean peninsula. Another project is a Norwegian Polish cooperation on the conservation of the peace church in Świdnica, woj. dolnośląskie. And of course the department is part of the Polish-Norwegian Modern Archaeological Conservation initiative „Archaelogy of Yatvings”. Midgard Historisk Senter in Borre (Norway) is a branch of the Vestfold Museums, opened in 2000 with the primary task of creating and spreading knowledge about Viking Age in the Vestfold County. The Centre is located close to the Borre National Park, containing Northern Europe’s largest assembly of monumental grave mounds from the Germanic Iron Age and the Viking Age. 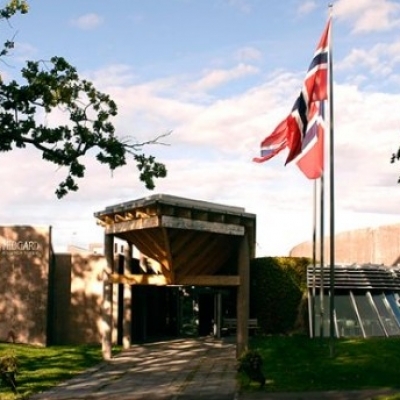 The Centre features frequent exhibitions, depicting different aspects of the Viking Age. It comes with a café, sporting a magnificent view of the Borre Park, an auditorium, and a playground where you can try out archery and other Viking activities. Close to Midgard you will also find the Viking Hall, and one of Norway’s oldest medieval churches. Borre was a central place of power and influence in Europe during the Viking Age, and the burial mounds in Borre constitute one of Norway’s most important national heritage sites. The park contains seven great burial mounds, three stone mounds, and about 30 lesser mounds. Only one mound has been excavated, revealing the remnants of a Viking ship, along with several artefacts of great splendor. In 2007, remnants of a large mead hall were found, just next to the Borre Park. In 2013, the great Viking Hall of Borre was opened, a reconstruction of the Viking Age mead hall found near the park. The Hall is beautifully decorated with intricate, hand-made wooden carvings. The carvings on the pillars inside the main hall each depict a story, that together constitute part of the mythological background of the hall – it is said that Borre was inhabited by the descendants of the god Frey!